Recently renovated Tremonte Restaurant is a multi-regional Italian restaurant specializing in fresh pasta and grilled meats. Head Chef/Owner Anthony Contarino has won five consecutive Best Restaurant Awards for his minimalist, quality recipes and consistently impressive Italian fare. 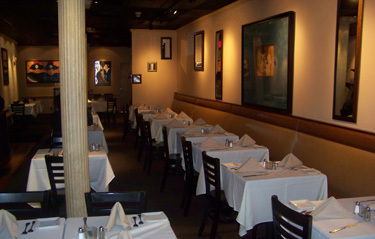 Tremonte is a casual, comfortable restaurant with a sophisticated dinner menu. Specialities include Grand Marnier shrimp, portobello mushroom stuffed with eggplant, homemade tagliatelle with bolognese sauce and an impressive selection of seasonal specials. Tremonte has a large bar area with plasma screens and an extensive wine list with many wines from small vineyards throughout Italy.